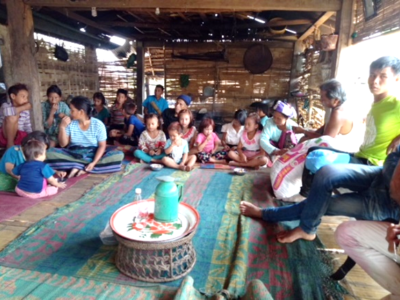 “We started our outreach trip to Shan State on April 10, 2018 and it ended on April 29, 2018. I am excited to report to you about how the Lord God is moving on unreached people groups of Akham, Lahu, Shan, Burma and Emh. Our trip was blessed with fruits by God. We traveled to Shan State by air, then by car and motorcycle, and finally, we walked where the motorcycles could not go. We preached the Word of God from house to house, and after that, we preached from village to village. By God’s power we reached the Akham, Lahu and Ehm people for the Lord. We were very blessed with the hunger and thirst of these people for the Word of God. • Preached the gospel in eight Lahu villages and one Akham village. • Distributed second-hand clothing and medicine. 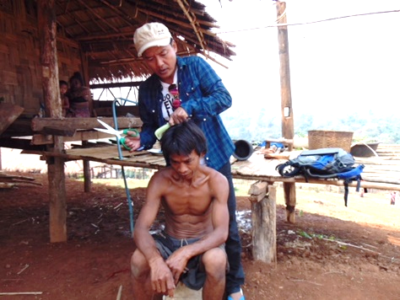 • Preached the gospel to 15 Lahu people. • One child received healing by the power of the Holy Ghost. • Preached the gospel to 69 Lahu people. • Prayed and cast out demons from a woman in the name of Jesus. • Preached the gospel to 43 Lahu people. • Preached the gospel to 33 Lahu people. • Preached the gospel to 33 Ehm people. • Preached the gospel to 75 Lahu people. • Shared the gospel to 11 Akham people. • Preached the gospel to 17 Lahu people. • Preached the gospel by prayer to Lahu village. They are so strong in believing in demons. • Preached the gospel to eight people of Army family. • Preached the new birth to those who have AIDS. They live hopeless. 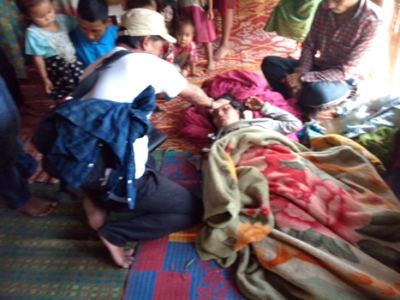 We encouraged them and pray for their healing. • Preached the gospel to 14 Lahu people. Some religious leaders did not allow us to preach the gospel where it is so needed. They hated us. We witnessed to people who have not heard any news of Christ and have not heard his Word. These people were found everywhere and in every village. The Word Mission was a vital witness of Christ’s love to the entire people of Akham, Lahu and Ehm. Your support allows us to continue our work in Myanmar, to stand up and speak out for the unreached people and to meet urgent humanitarian needs among the poor, unreached people living in Myanmar.